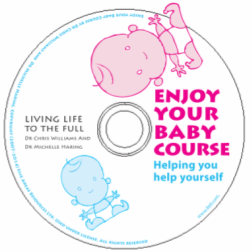 In just five, enjoyable 90-minute sessions, this course can help mums to make positive changes in their lives and start to enjoy new parenthood. With the help of a little book and supportive guidance at each session, participants learn how to improve their feelings when they feel low, worried or hopeless and will learn skills that help them tackle problems in their lives. 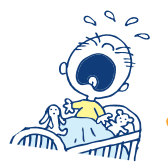 They will also meet other new mums and have a lot of fun! You were hoping for a fairy tale… but what you got was poo. In just five, enjoyable 90-minute sessions, this course can help mums to make positive changes in their lives and start to enjoy new parenthood. We will visit you at your chosen location to teach you how to use this course with clients. The course is aimed at Mums with symptoms of Postnatal Depression, or low mood and anxiety from the change that a new arrival can bring. When purchasing a license you will get all powerpoint slides and speaker notes to deliver the course, click here to find out more. With the help of a little book and supportive guidance at each session, participants learn how to improve their feelings when they feel low, worried or hopeless and will learn skills that help them tackle problems in their lives. They will also meet other new mums and have a lot of fun! Want to know more: Print/download information here. Please contact us at training@fiveareas.com to book a local practitioner training course. We also offer training workshops on a regular basis, visit www.fiveareas.com/training for details.